Know your lending options so that you are educated on what to expect when you’re ready to obtain that first commercial loan. There are several things to consider when evaluating hard money lenders. · What is the loan to value ratio of your project? If the ratio is high, the more cash that you will receive for your project. · What is the minimum and maximum loan amount of the lender? · Are the hard money lenders that you’re talking with direct lenders (funds in house) or are they a broker? Brokered loans can delay delivery unless dealing with agents that have an extensive rolodex. · Is the lender local or what geographic region do they serve? Where is your project located? · What are the closing costs and interest rate? · Can they close the loan quickly? Are they responsive to you and your project? · Is the lender trustworthy and experienced in the type of project you are seeking to fund? Experience. The lender you are talking with should have plenty of experience in the real estate industry as well as experience in the niche industry of hard money loans. 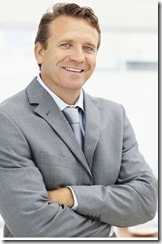 An experienced lender will have knowledge in the specifics of hard money loans. The experienced lender will also have the knowledge of procedures and regulations that must be followed which will simplify the process. Licensed. A hard money lender should hold licenses with state and local real estate bureaus and associations. If the lenders originate consumer loans, then they should be registered with Mortgage Licensing System (NMLS). Rates and Terms should be Competitive. Look out for lenders who charge interest rates that seem too good to be true. This may be indicators that the lender you are talking with or negotiating with is either unexperienced or untrustworthy. Some lenders will use a bait and switch tactic. Published rates that are very low are often used to attract novice investors looking for the best deal. In all communications, a reputable hard money lender should be clear and upfront about rates, fees and terms. Quick funding is one of the most common reasons that real estate investors choose to obtain capital from a lender specializing in hard money. You locate the real estate you want to invest in, your offer is accepted, and now the clock runs, and time is of the essence. You may be choosing this type of lender because of the time-consuming process a conventional lender takes to approve a loan. Then, of course, there is the massive documentation that is needed with a conventional lender. Hard money lenders are known to deliver the loan quickly. As many an investor will tell you, if you do not get the loan funded quickly, you may very well lose the deal. If the lender you’re working with cannot fund the loan in an expeditious manner, you may want to seek capital elsewhere.